This is no ordinary robot. Traveling throughout the galaxy has taught kiko.893 to use his infrared sensor while detecting, and obstacle-exploring capabilities to survive alone. He is ready to make friends with those willing partners while providing fun for the whole family! "Hey, follow me! ": A slight motion in front of his eyes with your hand will equate to a new best friend. He will follow you around for as long as you are willing to guide him. IR technology allows for a special connection to be made with kiko as an adorable friend. Maze Explorer mode: The AI capabilities will show when our friendly 'bot is working his way around those dubious obstacles put in front of him. The explore mode is meant to try and challenge this world traveler. His six legs and 360-degree turn radius allow for seamless maneuvering around obstacles. 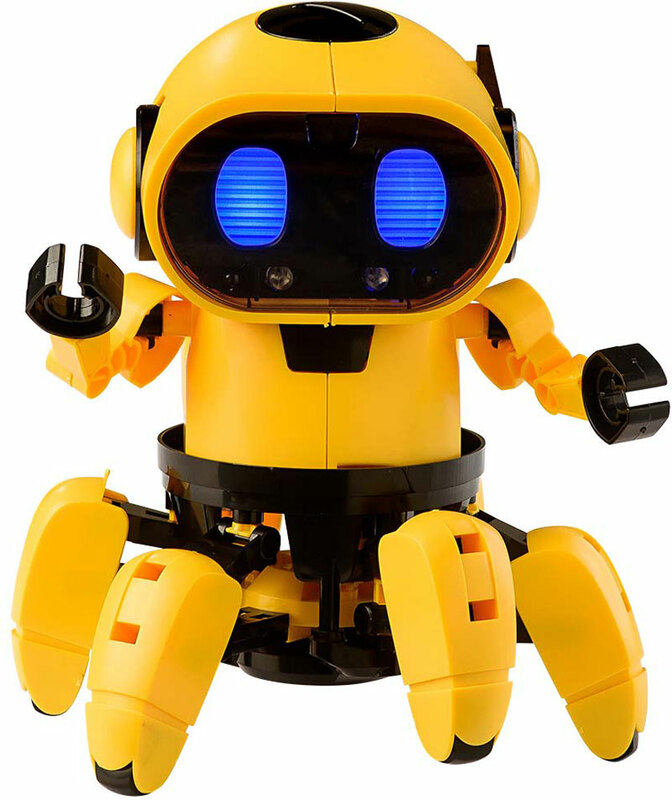 Not just artificially intelligent – kiko.893 learns as he is moving around after being assembled. The numerous sounds and lighting effects emitted reflect that he is developing his own special set of emotions as well as gestures. 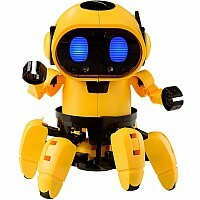 A robot with a personality easy to love! This kit will provide an opportunity to learn more about artificial intelligence, machine learning, and engineering concepts. 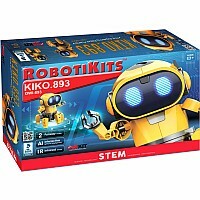 The construction of the robot will also require those assembling kiko to be able to follow written directions. 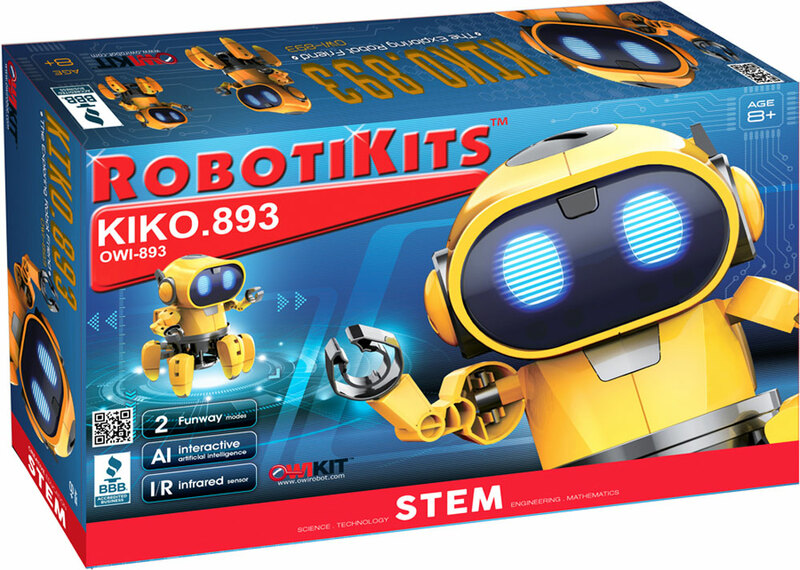 Kiko is a 107-piece, next-level STEM experience. Requires 4 AA batteries. Measures approximately: 23.50 x 5.20 x 10.20 inches..